One of those things that I bought from the US, along with truffle sea salt (I used it on my egg on the meatball) that I have only opened recently. I decided to use it when I was going to make some roasted flaked chicken (previously in a very light soup). 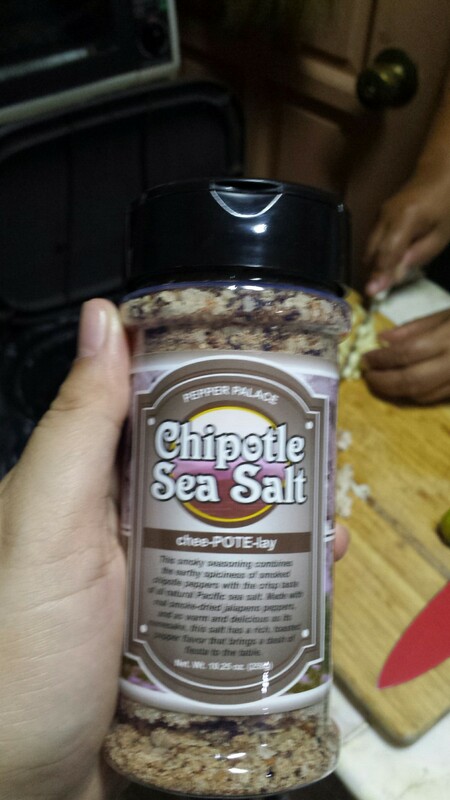 I wanted to amp it up, and chipotle sea salt with its spice and deep flavors would go great (along with some calamansi). For those new here, I am the type to rummage through the fridge to “resurrect” older dishes or those that nobody wants to have anymore. And finding some nilangang manok leftovers (boiled chicken, literally) seemed like a catch. The chicken flavor is still there and not too messed up. I got a chicken thigh and breast, and flaked them, and experimented what I will do next. I sauteed some garlic and then added the chicken. I seasoned it with the chipotle sea salt and let it dry/fry. I added the juice of two calamansi last minute, simply because I like roasted chicken with that flavor. It came out a bit sour, maybe one calamansi would have been fine. 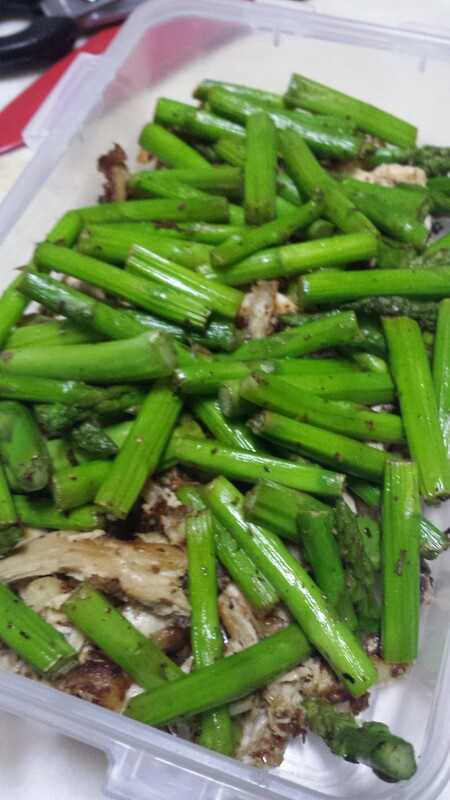 I removed this from the fire, and in the same pan, added asparagus stalks that have been cut into 2 inch lengths. This one I let sear, and seasoned a bit with the salt. I topped the chicken with the cooked asparagus and then that was it! A completely healthy lunch. The chipotle sea salt.. well. It’s okay. For the flavors to shine, you need to add more salt than my taste buds like, which is also what I experienced on the truffle. So if you are planning to “top” your food with this, it is better to underseason them to make sure that the flavored salt will shine through.